We have been flooded with your heartening emails about how useful our book has been. This is the very best outcome an author ever could hope for. We wrote the book because we were convinced that people needed to better understand this vital program and that if they did, they could improve the quality of not only their lives but the lives of their family members as well. Convictions, of course, do not necessarily translate into book sales. But in this case, they have. People are buying it for themselves and then going back to their real and virtual bookstores and buying copies for their friends, parents and other relatives. This interest in Get What’s Yours has made it a best seller and, we hope, a book that will continue to be relevant for many years to come. Thank you! This success has also convinced me and Simon & Schuster, our publishers, to create a companion volume to help people Get What’s Theirs from Medicare. As complicated as Social Security is, Medicare may be more complicated still. 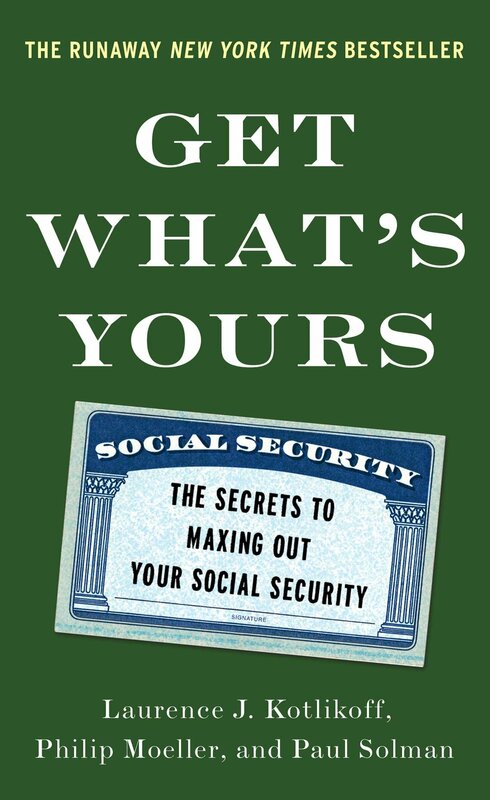 Many of you have found our Social Security Secrets and Gotchas to be very useful. Wait ‘til you see the amazing tales from the Medicare regulatory crypts! These programs literally are the two foundational pillars of older age in the United States. This is a destination, of course, toward which millions of Baby Boomers are hurtling, often with scant knowledge of how Social Security or Medicare can help or hurt them. You know about the financial significance of Social Security. But do you also know that healthcare spending is the largest unknown expense faced by most older Americans? Or thst most personal bankruptcies are caused by unaffordable and unpaid medical bills? The informed use of Medicare can help minimize if not avoid these financial obstacles. But these are “just” the dollar impacts. Understanding and intelligently using Medicare can, I am convinced, not only improve your health and quality of life, but can actually extend that life. 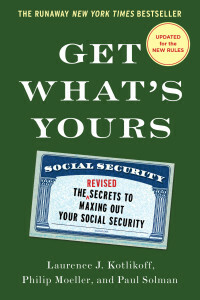 As I moved from the frying pan of Social Security into the fire of Medicare, my co-authors Larry Kotlikoff and Paul Solman did not join me, although Paul will help me out with Ask Phil, the weekly Medicare column I write for the PBS NewsHour’s Making Sen$se website, which Paul oversees. Larry will continue to tilt at Social Security windmills. Besides, he already has written 18 books, run for President and devised clever if perhaps impractical solutions to a growing list of the world’s problems. In their absence, I will need your help. What are the things about Medicare and, more broadly, later-life healthcare that you want to know or know more about? Send your thoughts to me at medicarephil@gmail.com. I will use some of them in “Ask Phil” but I can promise you that all of them will be instructive in helping me write Get What’s Yours from Medicare.